Vote for Your Pick for Writing Movie Night! Vote for Your Pick for Writing Movie Night! Midterms are approaching. Midterms are stressful. What’s a good way to cope with stress? Movies. Next Monday (February 27) at 6PM, Writing at Wesleyan is hosting a movie night! Come, take a load off, eat popcorn and spend a few hours watching a movie about writing (as opposed to, you know, actually writing). Dinner from MONDO will be provided. 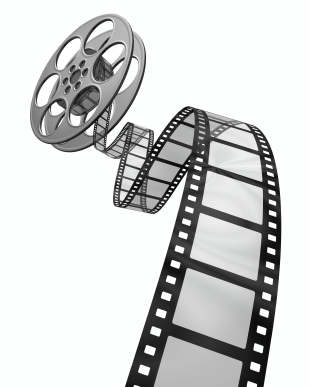 Which movie would you like to see at Writing at Wesleyan's Movie Night? Adaptation (2002). A lovelorn screenwriter turns to his less talented twin brother for help when his efforts to adapt a non-fiction book go nowhere. Starring Nicholas Cage and Meryl Streep. Capote (2005). Truman Capote (Philip Seymour Hoffman), during his research for his book In Cold Blood, an account of the murder of a Kansas family, the writer develops a close relationship with Perry Smith, one of the killers. Sunset Boulevard (1950). A hack screenwriter writes a screenplay for a former silent-film star who has faded into Hollywood obscurity. Starring William Holden and Gloria Swanson. Dead Poet’s Society (1989). English professor John Keating (Robin Williams) inspires his students to a love of poetry and to seize the day. Finding Neverland (2004). The story of J.M. Barrie’s friendship with a family who inspired him to create Peter Pan. Starring Johnny Depp and Kate Winslet. Posted by Barbara in Events on February 20, 2012 at 5:13 PM. How do we vote? Something is not right.